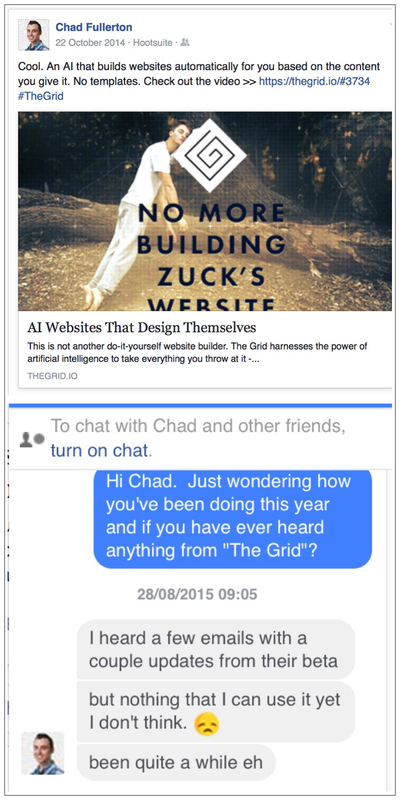 Years ago, October 2014 to be exact, a friend on Facebook posted about something called “The Grid“. I thought it sounded cool, so I signed up using the link they, (The Grid), gave my friend to share. I mean, who doesn’t want to utilize AI and do nothing other than sit back and let your website design itself. Cool. After I signed up, they also sent me my own link to share: https://thegrid.io/#4110, which I shared on my resource page. I contacted “The Grid” last year when I hadn’t heard anything from them. Don’t recall getting a response. Just happened to swing by their page yesterday and noticed they have a button in the top right corner that says “login”. I’m hopeful that means that they’re actually providing people who bought into their idea 2 years ago, access. So, I sent in a support ticket through their support page. 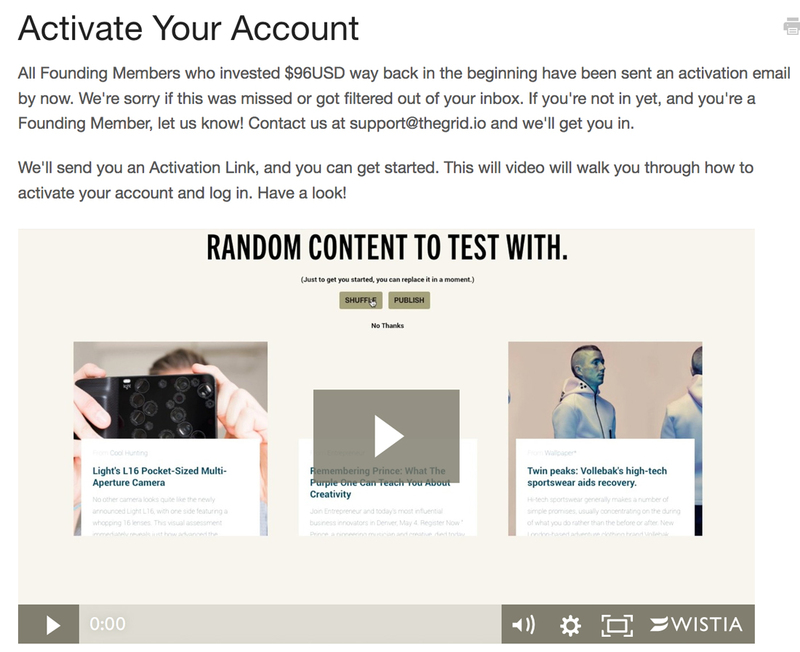 Happened to notice that maybe I’m not the only “founding member” who “fell through the cracks“,–just thought that surely a year would be long enough to get a reply from my initial “hey, it’s been one year and I haven’t heard anything email”,–but, what do I know,–isn’t AI supposed to be how “The Grid” operates? Guess there still might be a need for “humans”? So, I sent in a support ticket through their support page. Happened to notice that maybe I’m not the only “founding member” who “fell through the cracks“,–just thought that surely a year would be long enough to get a reply from my initial “hey, it’s been one year and I haven’t heard anything email”,–but, what do I know,–isn’t AI supposed to be how “The Grid” operates? Guess there still might be a need for “humans”? I hate having to repeatedly ask for support, especially when it involves retrieving 2 year old receipts, so I’ve decided to post this blog so it will have a permanent home/link that I can easily navigate to. Guess I really thought as #AI is a big component of “The Grid” that I would at least receive an automated email acknowledging my request for support. No such luck. Lucky for me, I found them on Twitter @thegrid. Maybe there’s a chance a human might see a tweet.